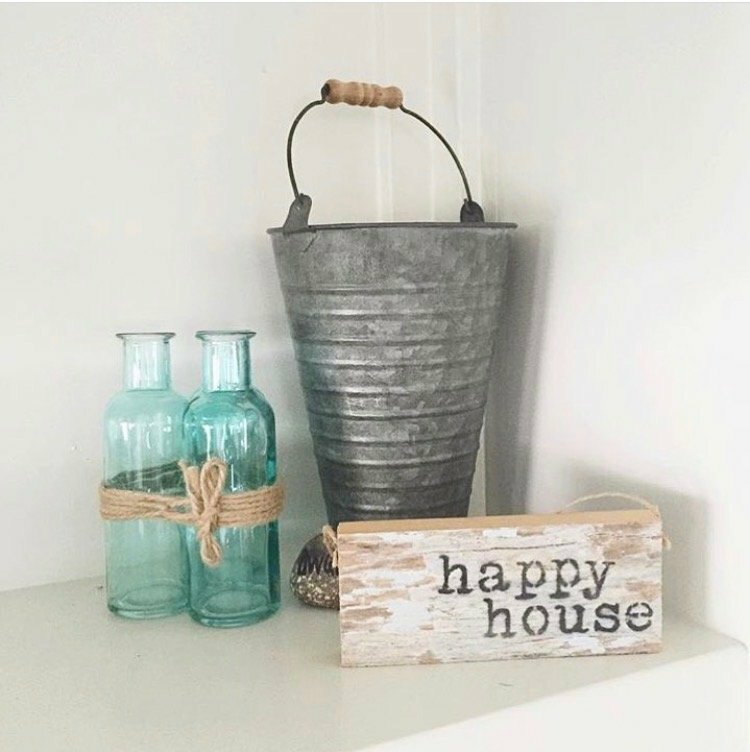 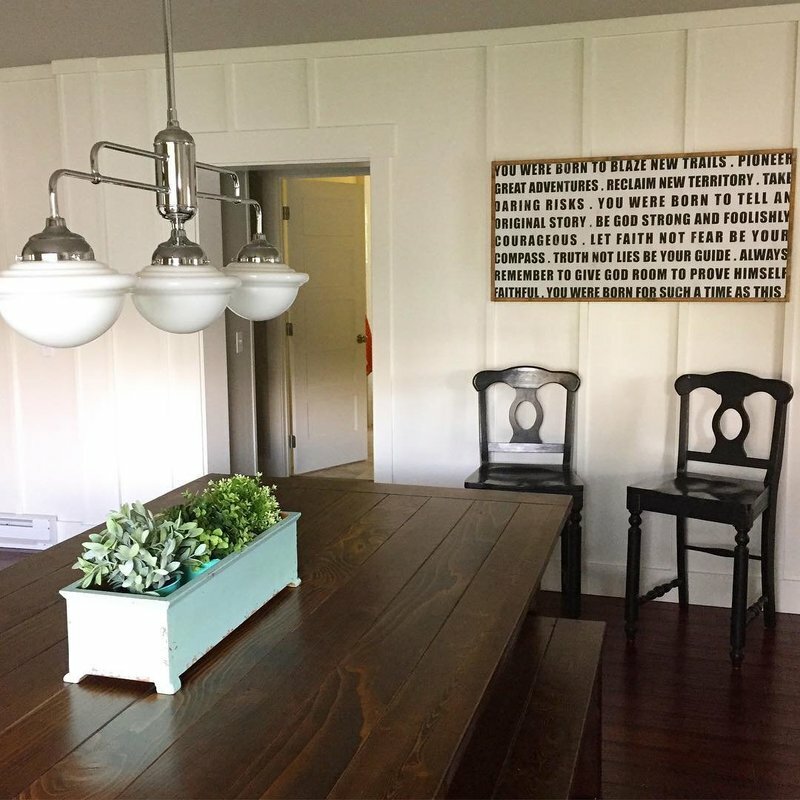 Located in the foothills of the North Cascade Mountains and surrounded by cherry orchards is a precious little home called The Delight House. 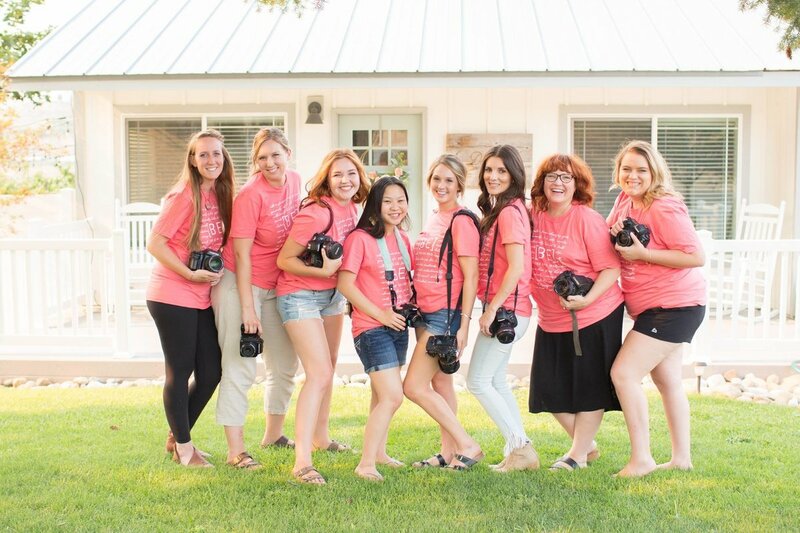 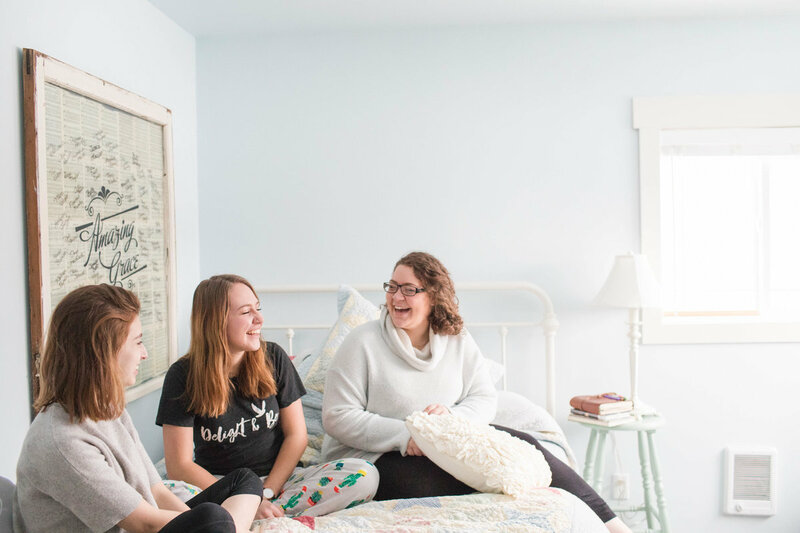 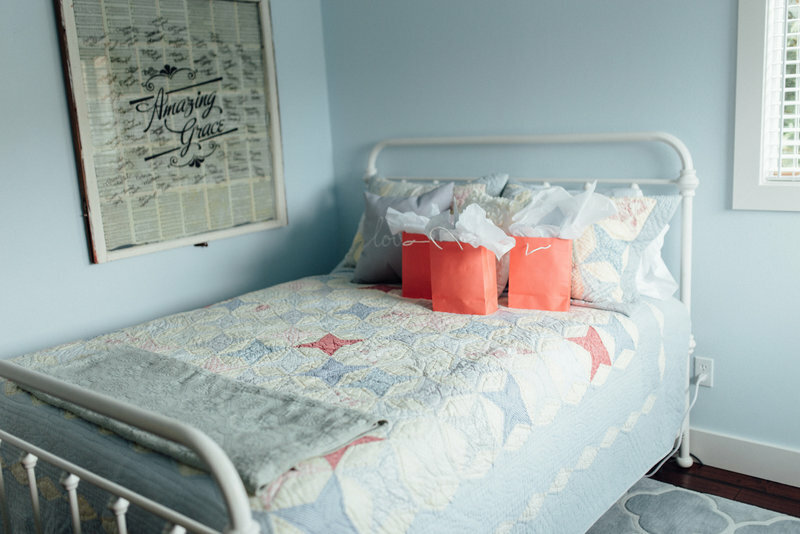 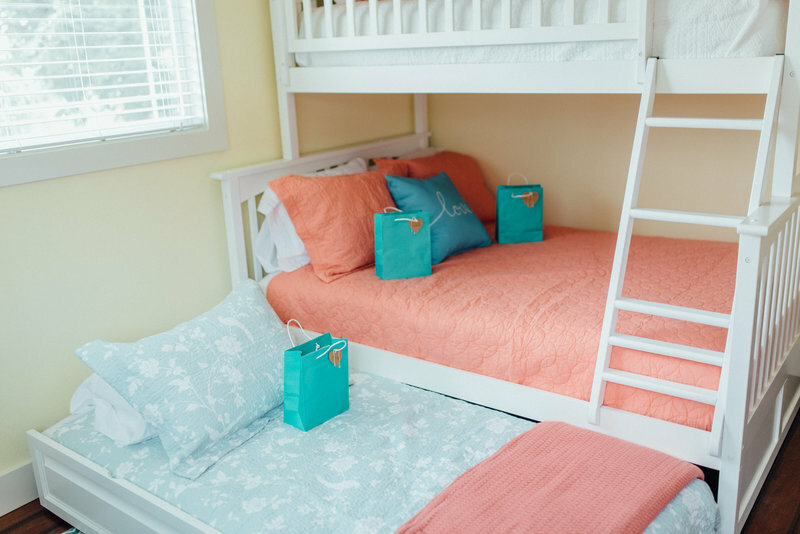 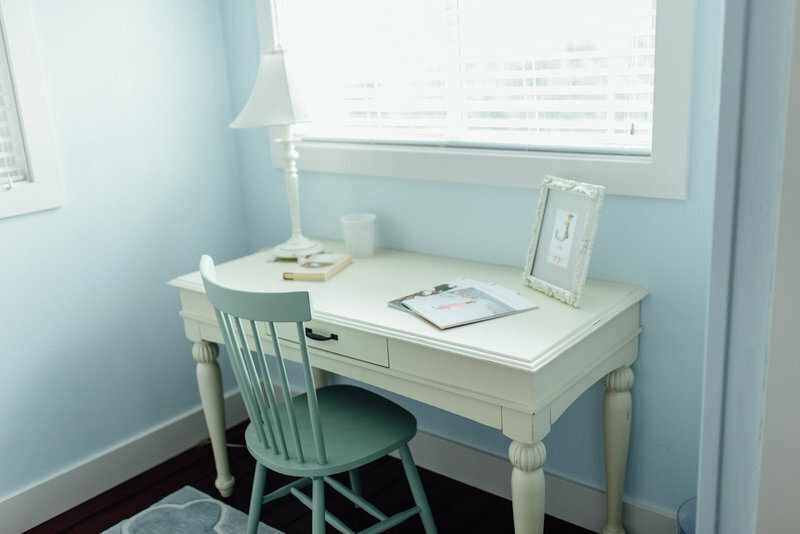 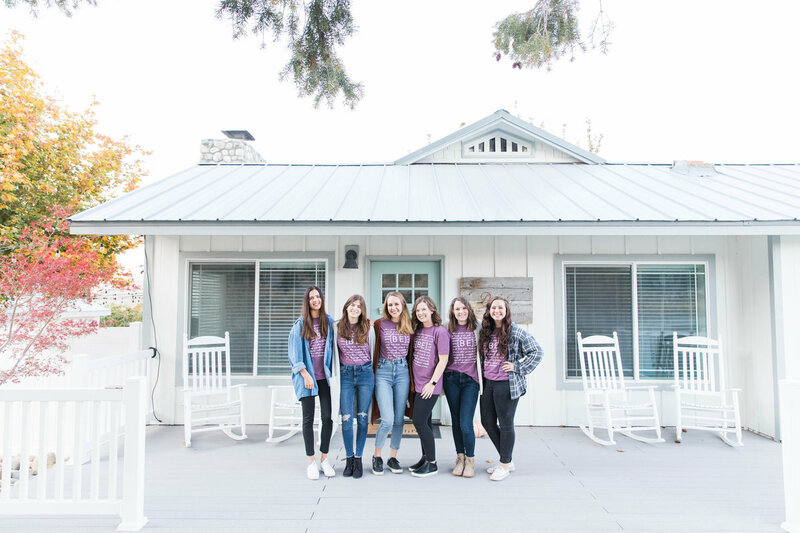 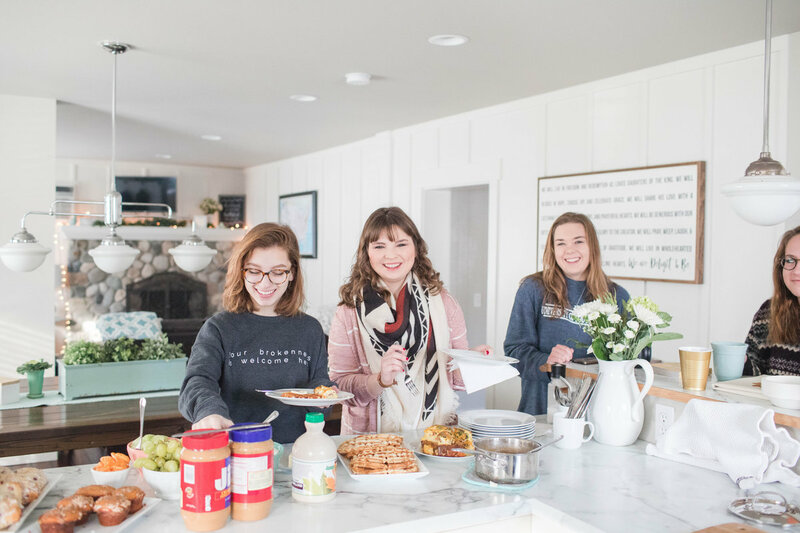 Created specifically for young women as a safe haven apart from the daily stresses of the world, the Delight House hosts girls locally and from all over the country. 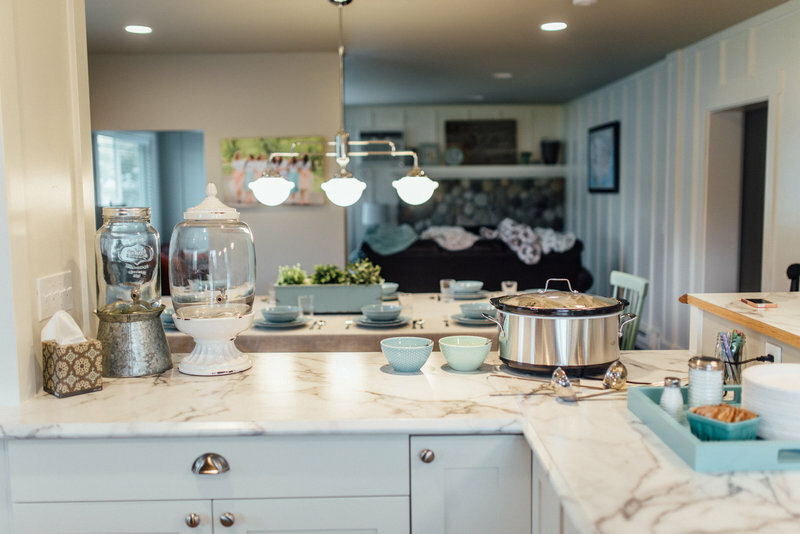 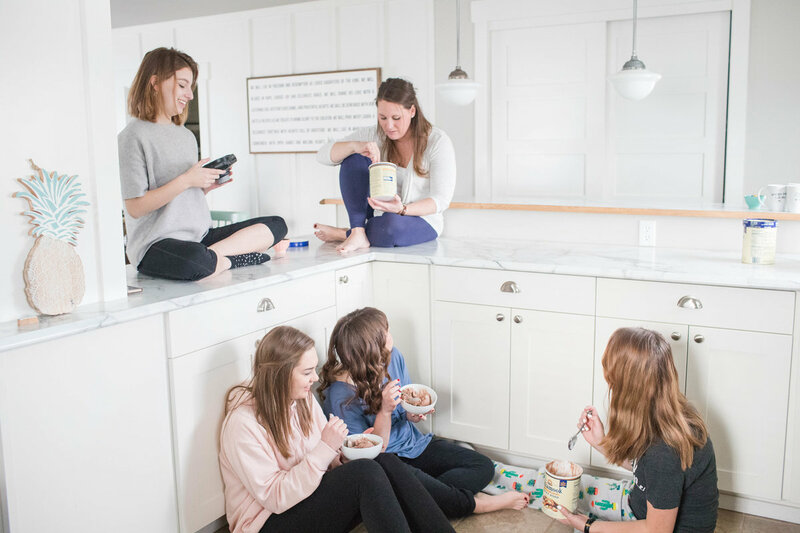 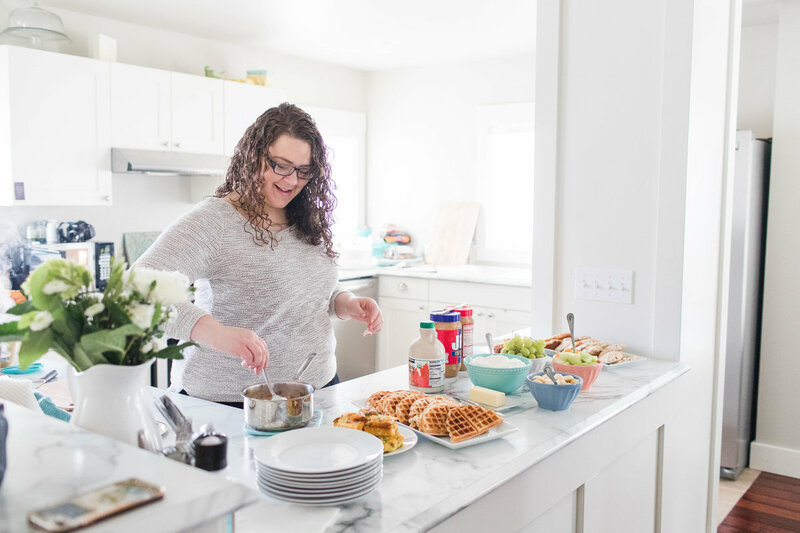 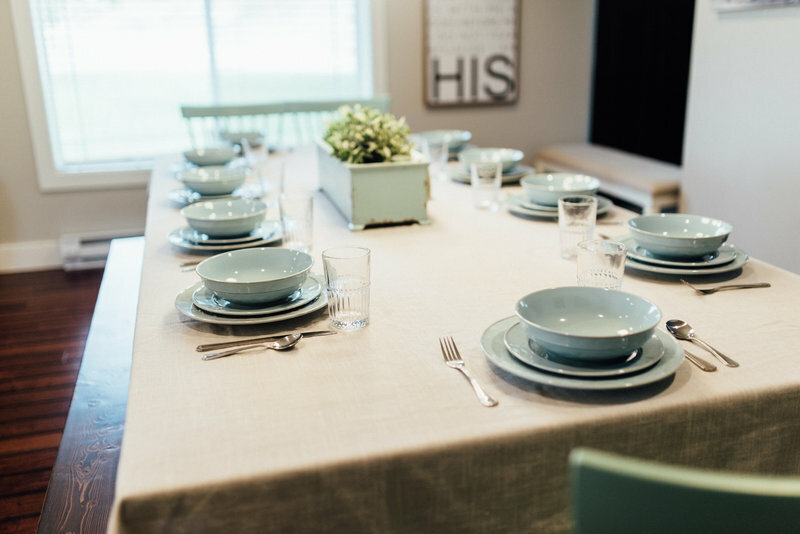 Whether around the kitchen counter, the farmhouse table or in the cozy living room, girls share their hearts, their tears, their laughter and their stories. 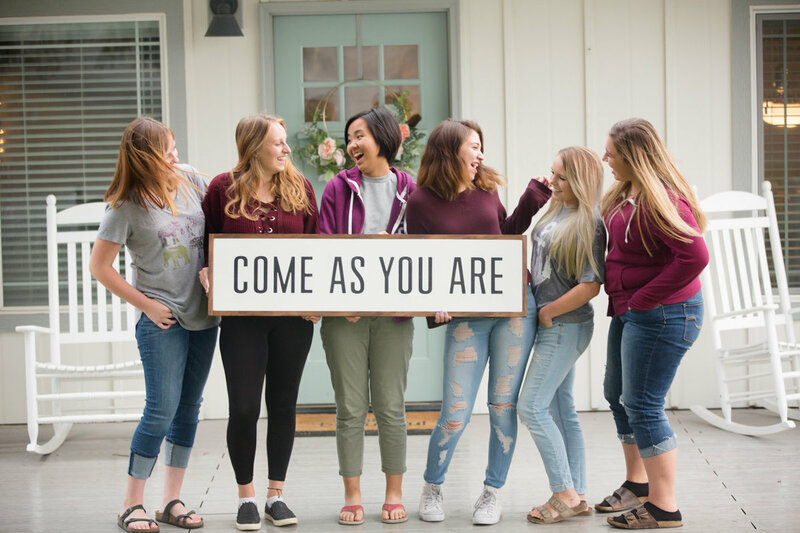 It is a place where they see the depth of how they are seen, loved, and they belong. 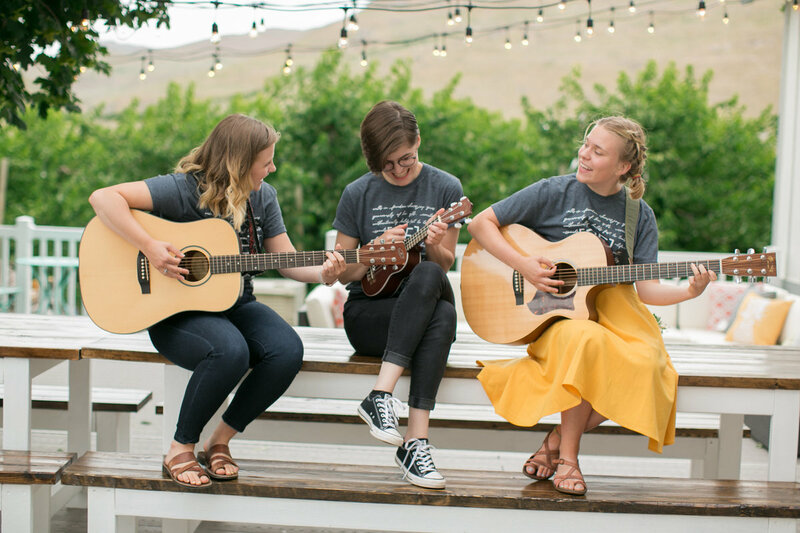 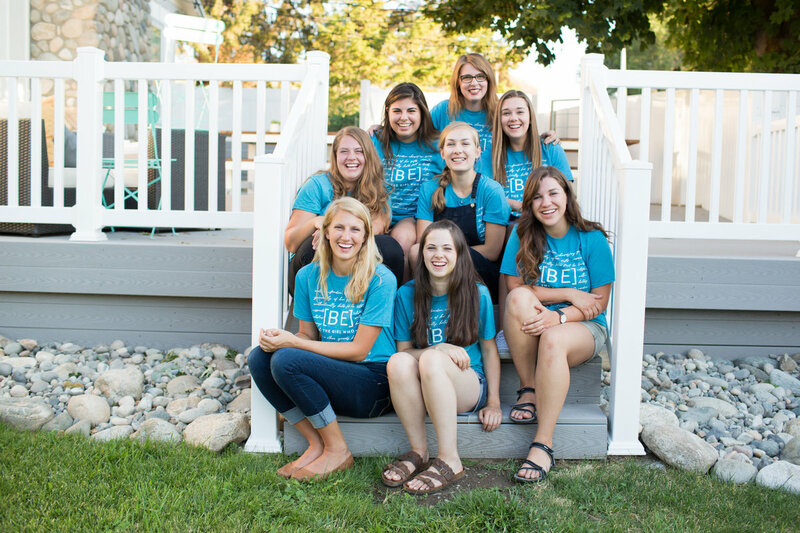 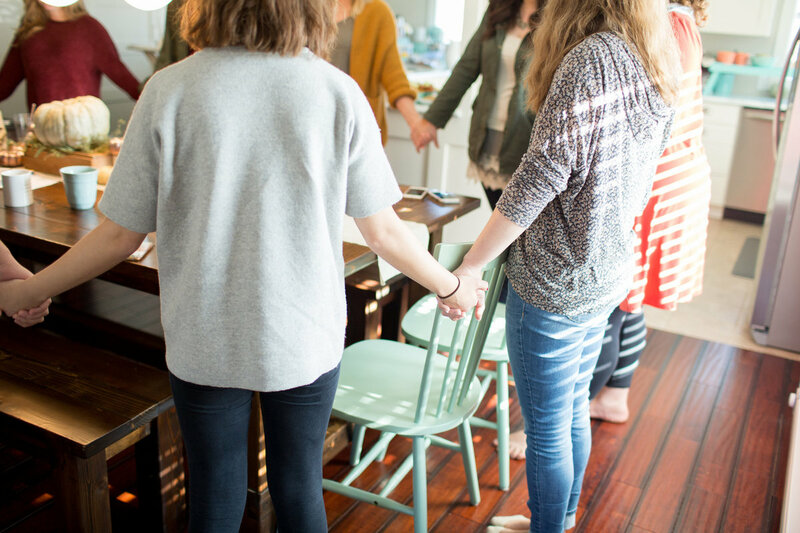 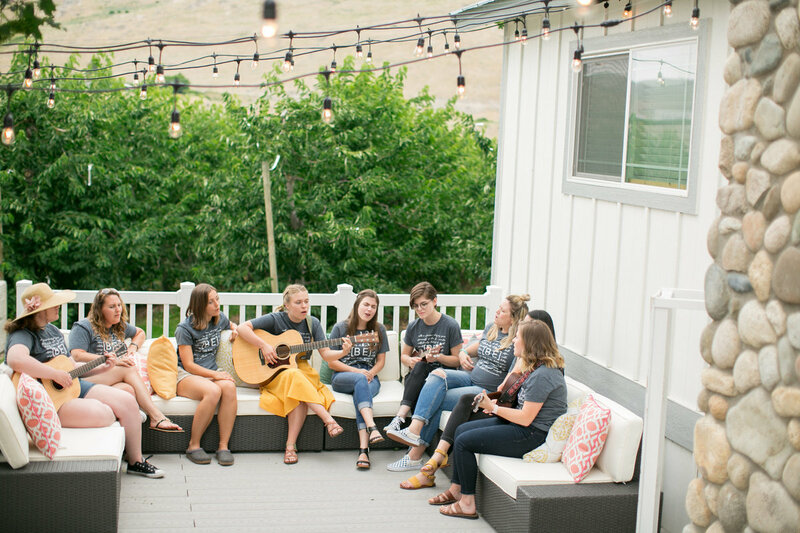 The Delight House exists as a place for girls to come just as they are, to see that their successes and failures are not what defines them, but who God says they are. 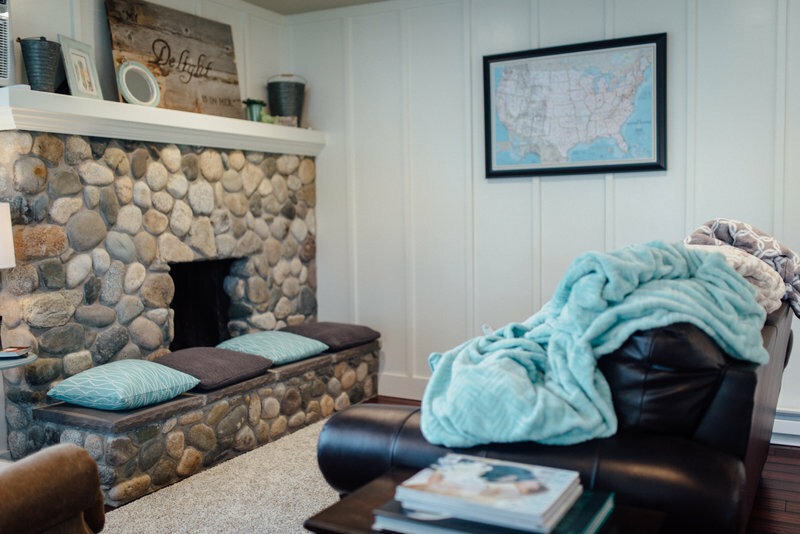 - River rock fireplace made with rocks that survived the 2014 fires that devastated our community. 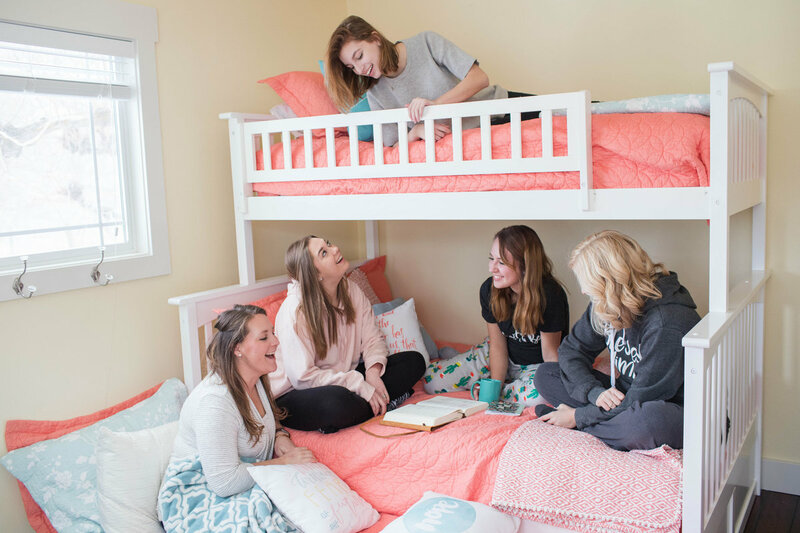 we want nothing more than to fill our little house with love, friendship, and laughter. 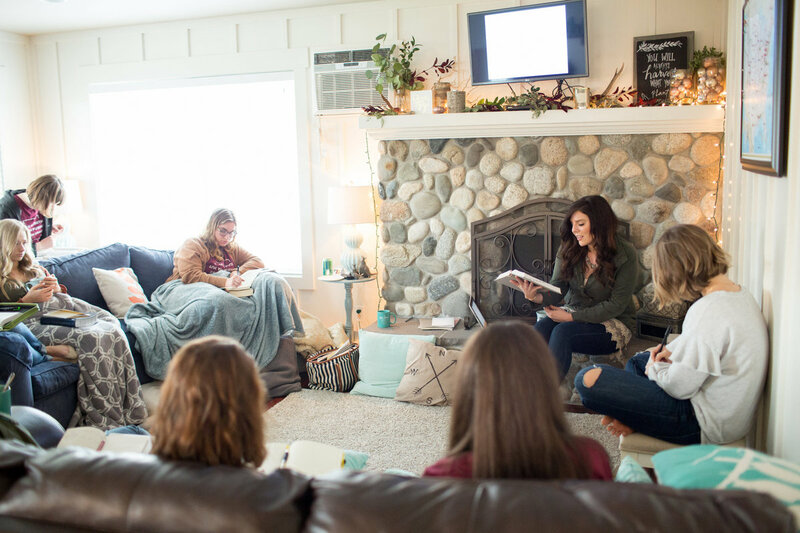 we hope you'll consider joining us at an upcoming study or workshop! 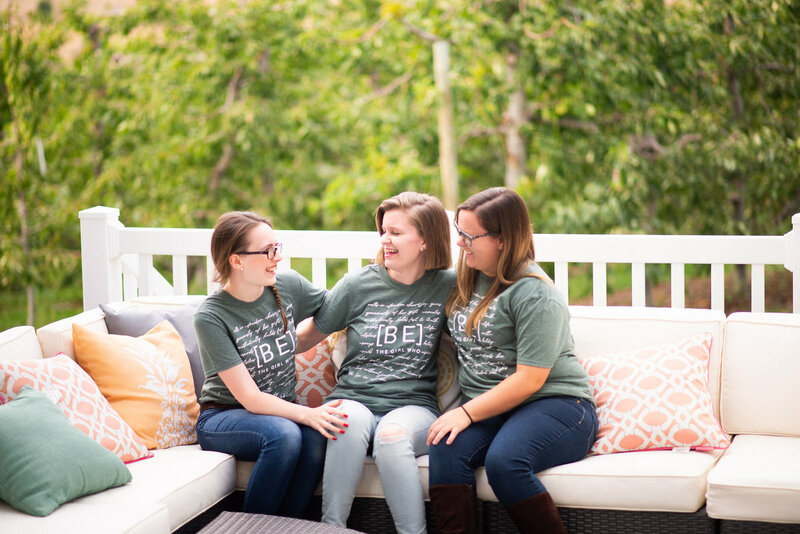 Delight & Be™ is a non-profit ministry and we exist because of the generosity of those that support our ministry financially. 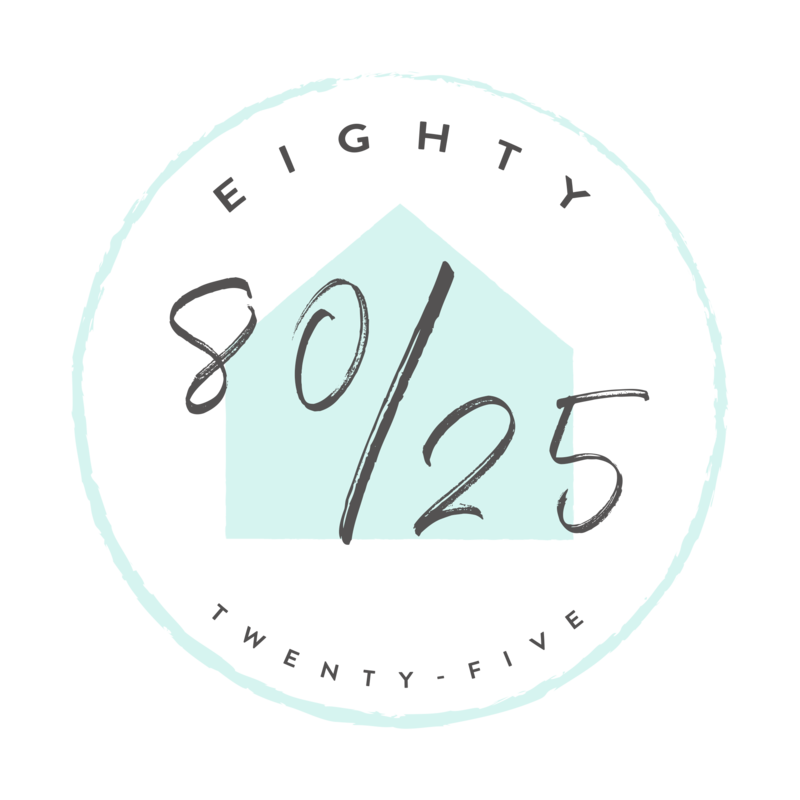 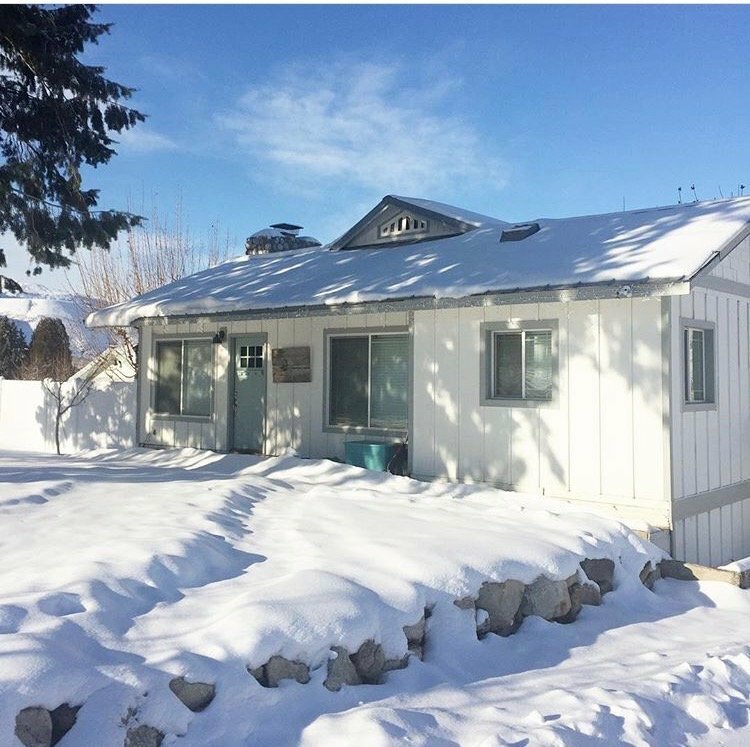 Our funding campaign Project 80/25 is based on the premise that if eighty people give $25 every month, the costs of the Delight House will be covered. 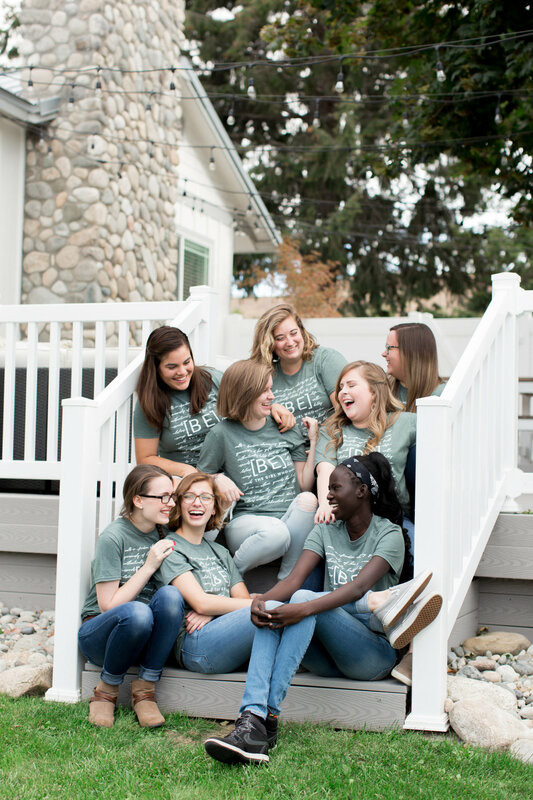 We greatly appreciate the generosity of supporters from around the country. 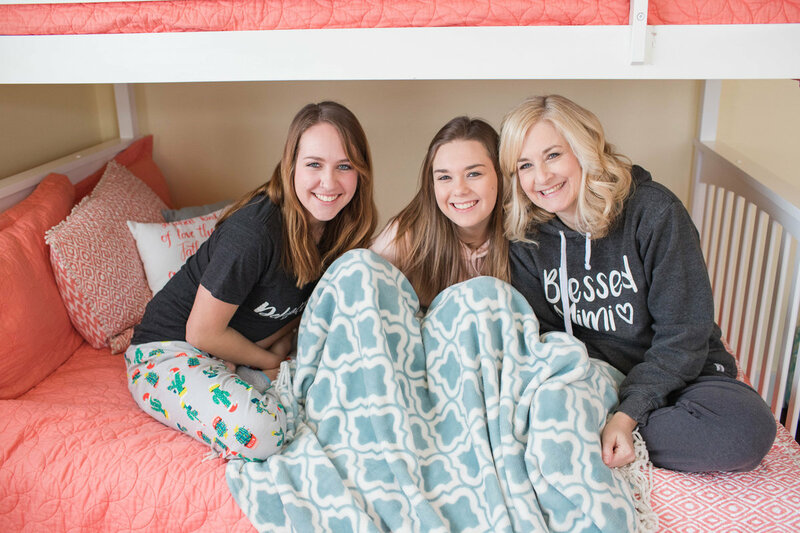 Please click below to see how you can be apart of Delight & Be's growth.